I love investing in index funds. The simplicity, diversification, and low fees of index funds make it a clear choice for the bulk of our investments. When you buy a share of an index fund, you actually own a small fractional component of the underlying pool of securities (stocks, bonds, real estate, etc) within the fund. For example, if you buy a share of a stock index fund such as VTSAX, you own a piece of 3,607 stocks within the United States market. This fund attempts to mimic the returns of the U.S. stock market. Owning a large portion of the stock market helps you stay diversified. If you own one stock and the company collapses, you lose everything. When you own a piece of thousands of stocks, the winners balance out the losers. But don’t just listen to me, some random dude on the Internet. The greatest stock picker of our time, Warren Buffett himself recommends investing in index funds. In fact, Buffett has recommended that his wife buy index funds over shares in his own company’s stock. Mr. Buffett put his own money on the line when he offered a bet that over a 10-year period from January 1, 2008 to December 31, 2017, the Vanguard S&P 500 fund would outperform a portfolio of at least 5 hedge funds when performance was measured including all fees and expenses. He publically wagered $500,000 of his own money. You would think that there would be many investment professionals or stock pickers who would be willing to take on Buffet’s challenge – however only one person took the bet. A hedge fund manager named Ted Seides of Protégé Partners took the bet and raised the stakes to $1 million. As for the results? The compounded annual increase for the index fund was 7.8%, while the 5 hedge funds returned only an average of 2.2%. 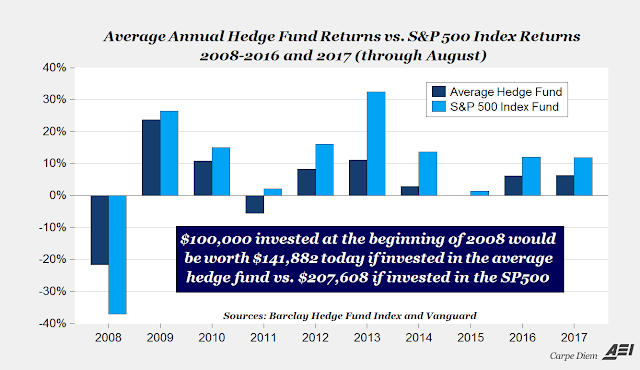 Cumulatively, the S&P 500 index fund gained 85.4% versus the hedge fund average of 22.0%. Warren Buffett has easily won his bet! What is Mr. Buffett doing with his winnings? He’s donating it all to the charity Girls Inc. of Omaha. This simple bet goes to show that passive investors, those who buy and hold a simple index fund will likely outperform active investors. Investment managers are brilliant, well-educated individuals with access to tons of information and data about the stocks that they choose to buy and sell. These active investors charge a premium to their clients, sometimes as high as 2%. The Vanguard Total Stock Market index fund only charges 0.04%. If the “smartest” investors out there can’t even beat or match the average return of the market, what hope is there for an average Joe investor with a “gut feeling” about a certain stock? Studies consistently find that index funds beat stock pickers handily time and time again. We will stick to investing in index funds and follow the Bogleheads investment philosophy. Our investment portfolio continues to steadily grow. We hit 100K in June 2014, then 200K in March 2016, then 250K in December 2016, then 300K in June 2017. Today, we are at 330K. Our investments include money in our Roth IRAs, 401Ks, taxable accounts, and 529. This does not include money in our checking accounts, savings accounts or our home equity. For those looking for an in depth read about investing in index funds, I highly recommend reading financial blogger Jim Collins' Stock Series of posts here. If you enjoy listening to podcasts, you can listen to the ChooseFI podcast interviews with JL Collins Part 1 and Part 2. We continue to invest in index funds even though the market is now at all time highs, because no one knows what the future holds. Time in the market is much more important than trying to time the market. For a fun read, check out this article on the world's worst market timer. The stock market is going to go up and it’s going to go down and we are going to keep steadily contributing along the way. 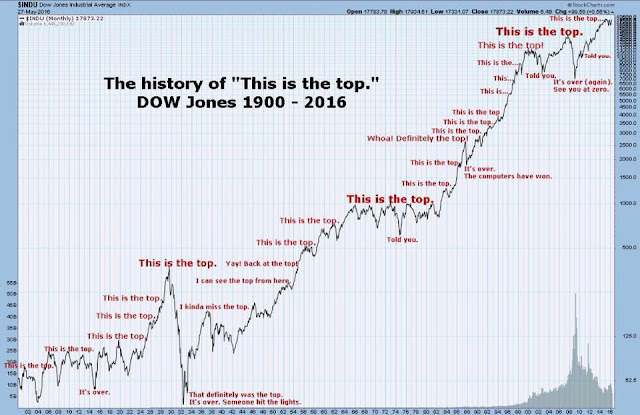 No one can accurately predict when the peak of the market is. 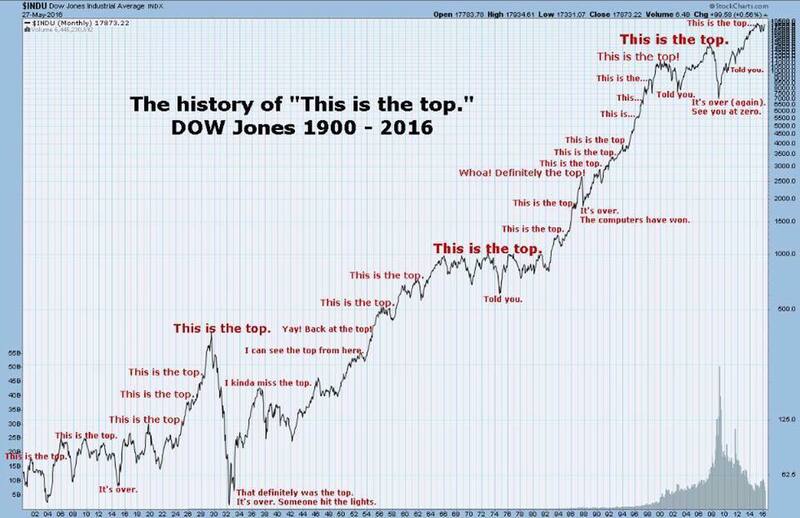 There will always be new peaks in the stock market. We can't consistently predict when the next peak will happen. We can stay invested and enjoy the ride. While the best time to have started investing was when you first started making money, the second best time is today.